Last summer I had the privilege of participating in an amazing Twin Cities Summer of Solutions Program. While I knew this was really a special experience it wasn’t until recently that I’v realized just how well SoS has prepared me to work as a solutionary. 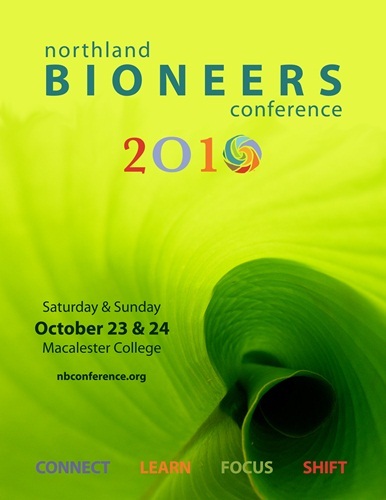 Last weekend I had a chance to give a presentation about one of our Summer of Solutions (SoS) projects at the Northland Bioneers Conference along with several other SoS participants. This conference takes place all over the country and includes thousands of participants. Revolutionary thinkers from around the country talked about pioneering ideas to make our earth more sustainable. My presentation was about Cooperative Energy Futures, an energy efficiency co-op that works to create community powered energyefficiency as a first step on a pathway towards a Green economy. Throughout the summer I realized that we were doing groundbreaking work, but it really wasn’t until the Bioneers conference that I realized that this work is truly on par with what some of the greatest leaders of our day and age. We are not a just a group of youth, innovators who are contributing to the cutting edge of the global systems thinking we need to pull us out of crisis. While I have always been confident in my ability to do good work I have considered myself inferior to the “grown up” world. SoS taught me that I don’t need to wait to make an impact until I’m done with school and that my input and work is just as significant and needed as anyone else’s. I am no longer afraid to take on commitments because I don’t think I can do it, instead I try my best and ask for help when I need it, and in doing so I’ve surpassed what I thought I was capable of. I am starting to realize while this personal growth is great what will be more important is passing on this confidence to my peers. By helping others start doing work to improve our world in a way they feel passionate about I hope I can become part of a global solution, one that grows and blossoms over the years to come. In a world facing massive economic, social and environmental challenges we need strong leadership from the youth that will inhabit this plant after our current leaders have passed – SoS is one incredible program that is helping create that leadership. Really great post, Brianna. I hope the conference went well! I’m sure you blew them all away.